Michigan produces the third highest yield of apples in the United States and offers more than 100 cider mills. If you want excellent cider, go directly to the source and visit a nearby cider mill. In addition to the cider, most mills offer apples, various baked goods and jams, and of course some cinnamon donuts. I had a great visit to the Franklin Cider Mill this past October (they make amazing donuts! 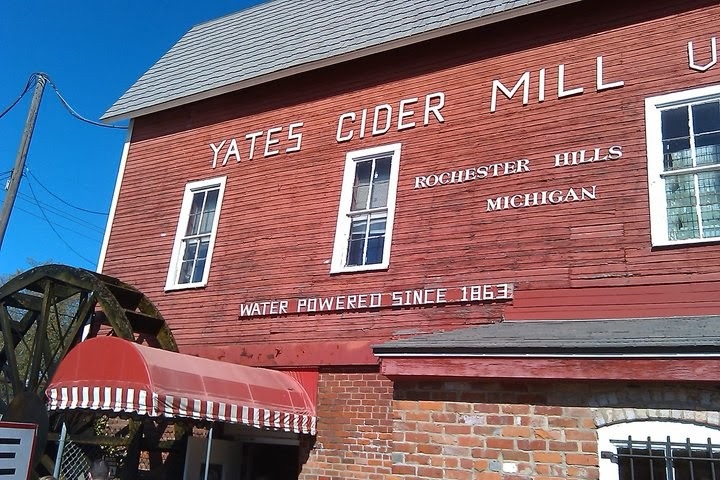 ), and the Yates Cider Mill was my childhood favorite. Michigan has lakes, rivers, forests, farms, hills...and even a few mountains. Michigan's highest peak is Mount Arvon in the Upper Peninsula's Huron Mountains. With an elevation of 1,979 feet, Mount Arvon is less than one tenth the height of Alaska's Mount McKinley, but it is accessible by sturdier cars and trucks if you do not have time to hike to the summit. Michigan's second highest peak Mount Curwood is nearby and was once considered to be Michigan's highest until a recent survey determined it is eleven inches shorter than Mount Arvon. Embrace Michigan's winters. Go outside, lace up some skates and play hockey or skate on an outdoor rink or pond (but please make sure the ice is solid enough to support your weight). One of the best ways to see a new locale, or to see an old locale anew, is to run through it and to see things from new angles and at a different pace. Training for a race also provides the added benefit of getting in better shape so you can enjoy more Michigan activities. A list of running races can be found here. For the most ambitious runners, Michigan offers several marathons, including the Detroit Free Press Marathon, which includes crossing the border into Canada. 9. Eat a Pasty in the U.P. The pasty is the unofficial food of the Upper Peninsula. A pasty is essentially a baked pastry with a meat stew on the inside. Pasties were brought to the U.P. by Cornish settlers Although they can be found in the Lower Peninsula, any Yooper will tell you that the best pasties are found in the U.P. 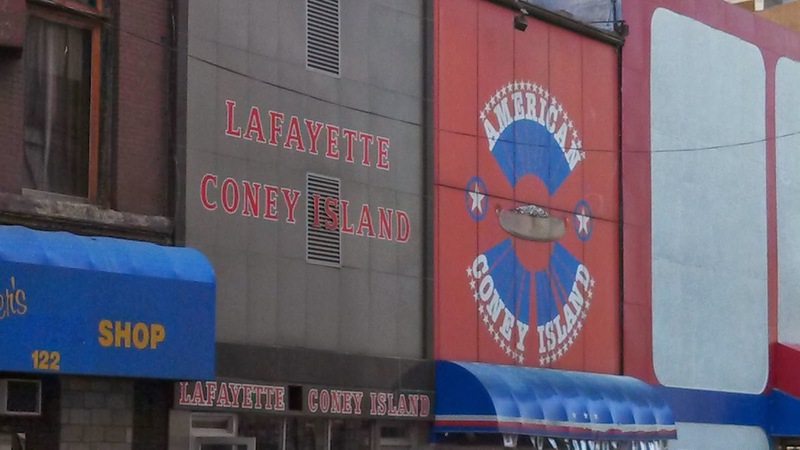 Detroit offers a lot of excellent culinary options, but the Coney Dog is to Detroit what the pasty is to the U.P. It is like a chili dog, but much better. 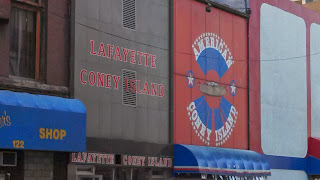 The two most famous Coney restaurants are the next door neighbors American and Lafayette, but Detroit has many more Coney Island restaurants to sample. Unless you do not eat meat, you must try a Coney when in Detroit. Dutch settlers founded Holland, Michigan, and the city celebrates its Dutch heritage with the Tulip Time Festival each May. Besides tulips, the festival features Dutch dancing, parades, Dutch cuisine and other celebrations of Dutch culture. President Ford's museum is located in Grand Rapids, where he grew up, but his presidential library is located in Ann Arbor, where he studied and played football at the University of Michigan. The library is only open on weekdays, but the museum is open daily, except for holidays. The museum offers a more personal view of President's Ford life while the library houses presidential papers and official documents from Ford's years in the White House. U.S. Route 66 has a song dedicated to it, but Michigan has a less famous 66 (M-66) that runs from the Indiana border near Sturgis to Lake Michigan near Charlevoix. At 266 miles, M-66 runs through many small towns, farms and forests for a more leisurely trip through the the Lower Peninsula. For a review of this drive, read the book "Splittin' the Mitten." Michigan State University's botanical garden is the oldest continuously operated university garden in the United States. Since 1873, it has served as an outdoor laboratory for the study of plant life, but it also offers beautiful grounds that are open to the public. The Michigan Theater marquee has lit up Liberty Street since 1928. The theater is a must-visit for University of Michigan students and anyone visiting Ann Arbor. 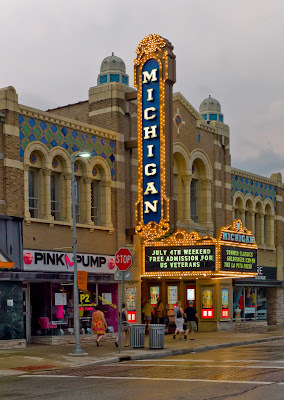 After falling into disrepair during the 1970s, several concerned citizens formed the Michigan Theater Foundation and saved the building. The theater shows films but occasionally hosts live events like concerts. When I was a kid, my family always stopped in Frankenmuth on our drive back from our summer vacation to the U.P. Bavarian immigrants settled the town, and their influence is seen in Frankenmuth's architecture. The town also offers Zehnder's famous chicken dinners, several shops and Bronner's Christmas Wonderland, the world's largest Christmas store. Mount Pleasant's Ziibiwing Center is a museum and cultural center dedicated to sharing the history of the Saginaw Chippewa Indian tribe. The center, which opened in 2004, possesses more than 500 rare artifacts, guided tours of permanent and changing exhibits and a theater. Muskegon is home to a World War II era submarine, the USS Silversides. Visitors can tour a museum, the submarine and a prohibition era Coast Guard cutter. Visitors can also stay overnight on the submarine or cutter to get a sense of what it was like to be a crew member of these vessels. Boyne Highlands in Harbor Springs and Boyne Mountain in Boyne Falls are popular winter destinations for Michiganders in the Lower Peninsula. Both locales offer multiple indoor and outdoor activities for non-skiers. The Huffington Post recently named Boyne one of the best places to ski east of the Rocky Mountains. The Upper Peninsula is the home to Michigan's only mountain ranges, so it makes sense that it has several ski resorts. Downhill skiing is not the only option though. With snow covering much of the peninsula, cross country skiing is an excellent way to view nature from numerous trails while getting an amazing cardio workout. 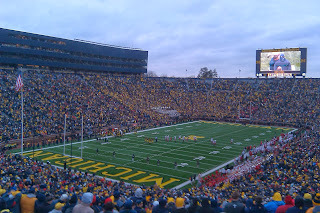 Michigan Stadium in Ann Arbor is the largest university-owned stadium in the country. 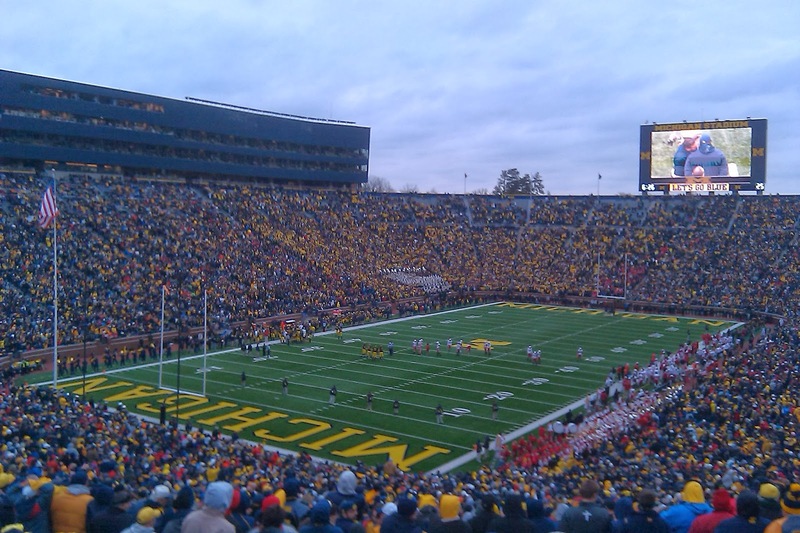 Built in 1927 and updated in 2010, the "Big House" is home to the Michigan Wolverine football team. In recent years, it has hosted lacrosse games and an outdoor college hockey game, and will be the site of this year's NHL winter classic between the Detroit Red Wings and Toronto Maple Leafs. Flint's hard times are well documented, but that does not mean there is nothing to do in this city. Flint boasts a campus of the University of Michigan as well as Kettering University. It also plenty of cultural and family activities such as a children's museum, an art museum and Stepping Stone Falls park. Saugatuck and neighboring Douglas are small towns bordering the Kalamazoo River, Kalamazoo Lake and Lake Michigan. The area is a tourist destination in the summer due to walkable streets lined with art galleries, shops and restaurants. Plus, they have the added benefit of being near the wonderful beaches of Lake Michigan. Kalamazoo is in many ways the birthplace of Michigan's craft beer revolution. Bell's Brewery was the first Michigan craft brewer that grabbed many Michigander's attentions in the 1980s and 1990s. Since then, craft brewing has exploded throughout the entire state. Kalamazoo Beer Week is held in January and offers craft beer tastings, dinners, and educational events. The Interlochen Center for the Arts is located in Northwest Michigan. It is home to the renowned boarding school and summer camps for talented musicians, writers, dancers and artists. Many famous actors and musicians have studied at Interlochen. The Center for the Arts hosts performances by students and guest artists throughout the year. I am still immensely impressed by my visit to the DIA in October, and I am eager to return. Rivera Court alone is worth another trip, but I have a lot more to see that I did not have time for during my last visit. The DIA has multiple collections from different time periods and cultures and is one of the six largest art collections in the United States. If you have never visited, you must. For days 27 to 52 click here. 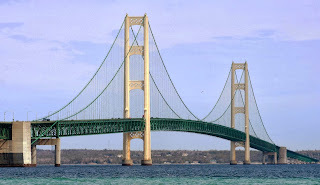 Thanks for mentioning our book, "Splittin the Mitten," and for this great list of things to do. Summer is coming; time to hit the road! You're welcome and thank you for your kind words!